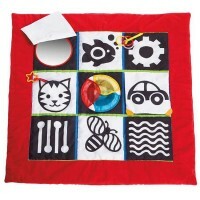 Parents and babies welcome a new quality developmental baby toy by Yookidoo - Crawl n' Go Snail. 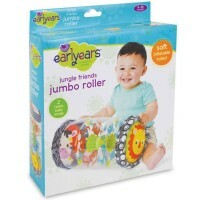 This amazing baby product contains 2 engaging toys in one G rolling toy and stacking toy! 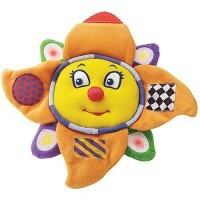 Plus add sound effect G it's a baby musical toy! The snail rolls along, plays music and spins its colorful shell as it goes. 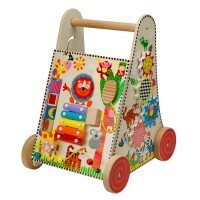 This very shell becomes a stacking baby toy, featuring 5 pieces G large enough for the little hands. 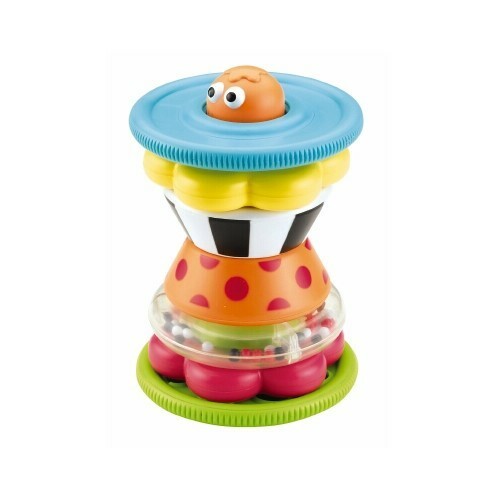 Push toy snail's tail and the toy will roll and play fun music! 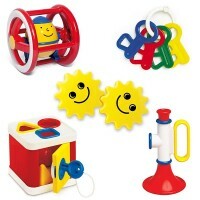 The always smiling cute snail will bring hours of fun smiling fun for your child. 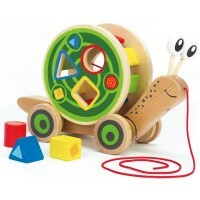 As a Yookidoo baby product, Crawl n' Go Snail from Educational Toys Planet exceeds all company and US toy testing standards. 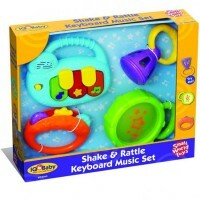 Yookidoo Crawl n Go Snail requires 3 AA batteries (included). 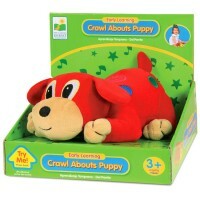 Dimensions of package 0.12" x 0.095" x 0.07"
Write your own review of Crawl n' Go Snail. Rating: 5 by Carol, OR This is really cute. It's for our grandson's first birthday which is coming up in a week. So we'll see how he'll like it then. 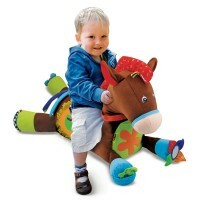 Rating: 5 by Jan, TX This toy has held the interest and love of my twin great niece and nephew for the past 6 months! It is excellent! Rating: 5 by Gail Keith, WI My granddaughter loves this toy. This snail has so many activities and functions! Good quality toy. And very cute!